CAMPBELL ~ Alberta James Campbell was born November 3, 1929 in Jones, Georgia, to Abe James and Eliza Roberts. She graduated from Liberty County High School. Alberta later received a Bachelor of Science Degree from Edward Waters College, May 1, 1982, at the young age of fifty-three years. Alberta married the late Roosevelt M. Saddler, November 10, 1952, in Kingsland, Georgia. This union was blessed with three sons, Roosevelt L. Saddler (deceased), Wayne B. Saddler, Warren D. Saddler; one daughter, Felecia J. Saddler. The couple relocated to Jacksonville, Florida and Alberta became employed with Health & Rehabilitative Services, now known as Florida Department of Children and Families, where she retired after twenty-six years of service. After her retirement with the State of Florida, Alberta became an entrepreneur, starting a daycare center in her home. As a longtime member of St. Thomas Missionary Baptist Church, she was a member of District One, under the leadership of Deacon Marvin Ward; and she sang in the choir. 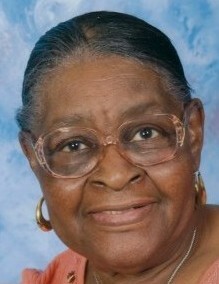 Alberta, affectionately called Bertie, was called home to her eternal rest, August 25, 2018, and leaves behind to cherish her memory, sons, Wayne & Warren Saddler; daughter, Felecia J. Armstrong; grandchildren, Enjoli Saddler of West Palm Beach, Florida, Shawn L. Campbell, Al’lecia I. Armstrong & Alan I. Armstrong; great grandchildren, Caden Robinson & Carmile Saddler; other relatives and many friends. Celebration of Life Service for Alberta James Campbell will be Thursday, September 6, 2018 at St. Thomas Missionary Baptist Church 5863 Moncrief Road, Rev. Ernie Murray, Pastor. Viewing from 10:00 AM until the hour of service. Interment at Edgewood Cemetery. Because of the love of her family, arrangements entrusted to J. E. Fralin & Sons Funeral & Cremation Services, 5065 Soutel Dr. 904.924.9400.